OKC.Biz announced the top honoree in 25 business categories at the Best of Business 2017 awards luncheon March 22. 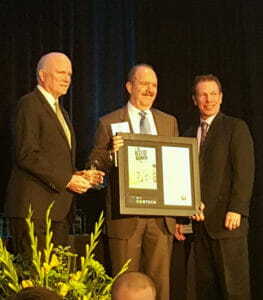 FSB was named Best Commercial Architecture Firm for an unprecedented 5th time. Since its founding in 1945, FSB has exceeded expectations and contributed iconic structures to the fabric of Oklahoma. As its reputation and client list has grown locally, nationally and internationally, FSB has worked hard to become known as a provider of high-quality architectural and engineering services. Specializing in the distinct markets of Aviation, Civic, Corporate, Education, Federal, Infrastructure/Technology and Native American projects, FSB is known for their ability to exceed client expectations. 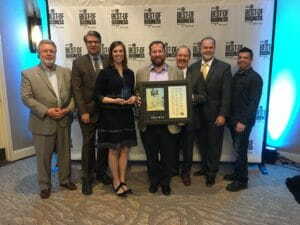 Over the decades the firm has become a dynamic business and community leader in Oklahoma City, as evidenced by being presented with the Beacon Award for outstanding corporate social responsibility. In 2016, FSB was named a Metro 50 honoree as one of the city’s fastest-growing companies. Even more impressive, FSB is the only practice to be named “Firm of the Year” four times by the AIA’s Central Oklahoma Chapter, an honor given specifically to recognize vision, leadership and quality of work. Operating under the guiding principles of Character, Teamwork, Excellence and Community, employees like working at FSB. In fact, nearly 30% of the firm’s 150 employees have been with the company more than 10 years. Today, a vibrant new brand, new collaborative work spaces, a growing Fortune 500 client list and a desire to continuously raise the standards of innovation in the design industry continue to attract high-caliber professional staff. FSB’s reputation for quality and service allows them to win projects, such as the new Terminal Expansion at Will Rogers World Airport, the Interior Renovation of the Oklahoma State Capitol, the new Headquarters for the Choctaw Nation, and a new aviation facility for Air Force One at Andrews Air Force Base. Clients can count on familiar faces, the longevity of the firm, quality of work and the firm’s exceptional leadership to know they are hiring the best.